My dear Octavius ... But do I forget myself? each on his own path, but good friends then and now. any kind of prey. But how else can they begin? allusions to gods and all the Muses' elaborate stagecraft. turn our attention to this, the narrative of a gnat. business he must transact-as you so well understand. the golden child of Zeus and Latona and source of my song. between the two rocky cliffs that appear to be great horns. with increase in their flocks and keeps the woodlands green. taking whatever I can of their cool green inspiration. the confidence I need for any such undertaking. demands a recklessness that both you and I might question. supports the prosodist's craft with its bittersweet understanding. the long- slumbering earth with the warmth of his attention. to inspire men and let them know of the joys of the good. where the grass still wet with the dew covers the gentle slopes. caper and run, or then, as arbitrarily, rest. into a context of ease, tranquility, and peace? the happiness goatherds must feel at moments and settings like this? to satisfy those whims that swirl around in our heads. in bright Assyrian colors, but can this satisfy? can sate the greedy soul, relentless in its craving. where spring puts pastel accents of blossoms wherever he looks. can ever provide in a salon abuzz with envy and hate. pleased at the sound they take to be that of some nearby bird. where in his full heart can greed find a place to invade? 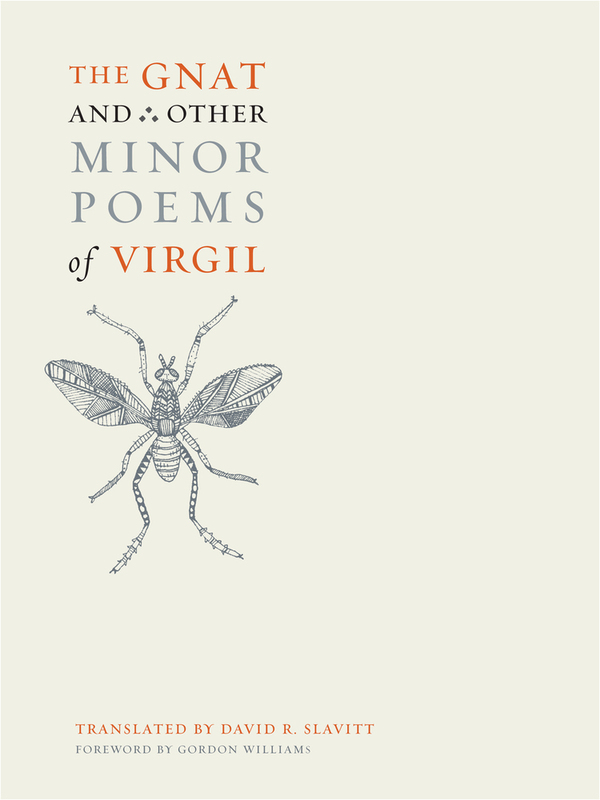 These delightful poems—by turns whimsical, beautiful, and vulgar—seem to have primarily survived because they were attributed to Virgil. But in David R. Slavitt’s imaginative and appealing translations, they stand firmly on their own merits. Slavitt brings to this little-known body of verse a fresh voice, vividly capturing the tone and style of the originals while conveying a lively sense of fun. David R. Slavitt has been lauded for his translations of Virgil, Ovid, Seneca, Aeschylus, and Aristophanes, as well as Propertius in Love and De Rerum Natura, both from UC Press. "David Slavitt is the most fluent and imaginative translator of Latin verse working today, and this collection of Virgilian poems testifies to his skill, sensitivity, and wit. Slavitt brings to this odd and little-known body of verse a real voice. 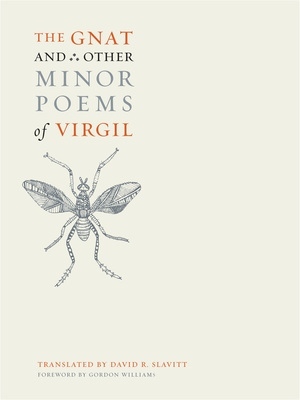 Whether or not the poems are Virgil's is, in the end, less important than the fact that, by the end of this book, these poems have become truly Slavitt's." "Slavitt has an established, unique, and appealing voice. He does an excellent job catching the tone and style of the originals, and these are readable and entertaining interpretations of the Latin."